“Wear the old coat and buy the new book.” ~ Austin Phelps. Authors have to make decisions every day that can swing the odds in their favor, or send them years away from success. It’s important for authors to make the correct choices and limit common mistakes. ~ Read a variety of books instead of watching a variety of television. ~ Write in quick bursting sessions rather than trying to find time to write for several hours. ~ Use publishing as a way to package and distribute your books instead of using publishing as your ultimate success plan. ~ Become an expert in your genre instead of attempting to just sell books. ~ Focus on gaining 100 loyal readers rather than trying to gain the entire world. ~ Make sure someone has read a sample of your writing before you try to sell them your stories. ~ Remember that you are giving publishers greatness, rather than them giving you greatness. ~ Spend a few hours in the bookstore rather than spending a few hours in the mall. ~ Become the best seller of your books rather than telling people you are going to be a bestseller. 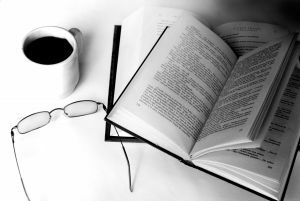 ~ Write for readers instead of writing for literary agents and publishers. ~ Budget at least $50 a month for marketing rather than attempting a free marketing plan which doesn’t work for any business in the world. ~ Write in different genres rather than limiting your talents. ~ Find ways to benefit readers instead of finding ways to benefit yourself. ~ Be a dedicated author, not a desperate author. ~ Use your unique talents instead focusing on what other authors are doing. “I find television very educating. Every time someone turns on the set, I go into the other room and read a book.” ~ Groucho Marx. Having the correct focus on what truly makes a great author will propel you ahead of those that continue down the wrong path.